MWB1 - I wrote Make Wire Beads, the book about how to make beads from wire, over ten years ago and its' success has continued. The book was self published back in the days when print on demand didn't really exist. 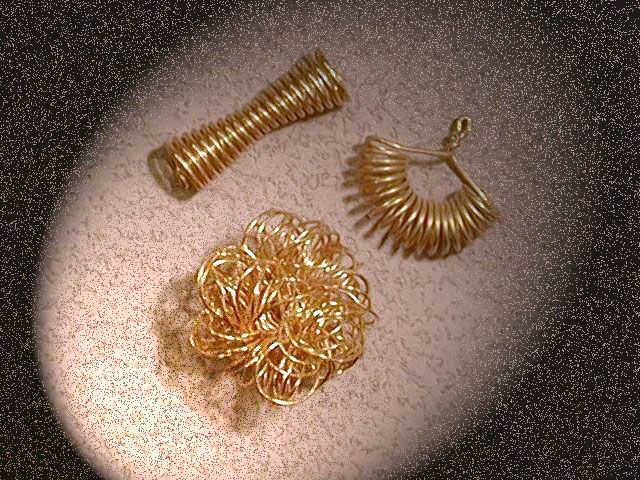 A true labor of love, Make Wire Beads experienced unprecedented success that still continues. Why? I really think it's because I hit on an arena that hadn't been addressed during the height of the bead making scene. All manner of bead making has been popular over the years with multiple books on each type with the exception of beads made from wire. So, if you're looking to learn how to make beads with wire, you've come to just the right place. MAKE WIRE BEADS consumed much of a year of my time while I was utterly obsessed with making the very best kind of wire beads I could think of. Without using solder. As a result, I came up with over forty different wire beads. What's most important about this book however, is that I created a groups of simple wire wrapping techniques that allow you to make many variations on the beads in MAKE WIRE BEADS. Did you ever think of altering your wire before you started using it? Did you know that you could make hollow wire beads using a simple sugar cube? Did you ever realize that you could make an infinite number of wire beads by simple changing one of three different variables? Did you ever think you'd be able to make wire jewelry just with wire beads? Written by "Wire Ninja", Lisa Van Herik, this 64 page book is not only a classic how-to book showing you steps to complete projects, but it's also a book that will hand you the methodology to come up with multiple variations of your own wire beads for jewelry making. That's part of the real value of MAKE WIRE BEADS. 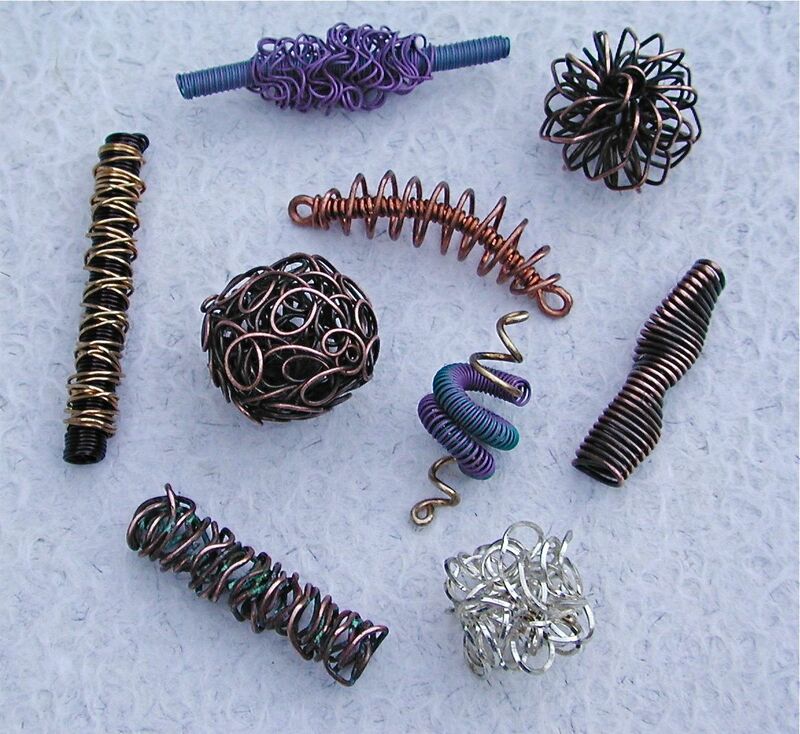 Knowing how to make beads with wire easily leads into how to make your own jewelry......a great place to start for any aspiring jewelry designers out there. 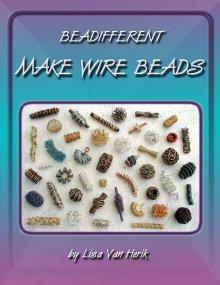 UPDATE: MAKE WIRE BEADS is now available in soft cover online thru Amazon or any number of online book vendors. Yep, no more paying hefty prices for used copies. Of course, if you're in a hurry, you can always still get the downloadable pdf copy here.